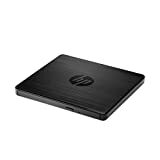 The HP USB External DVD Drive is compact, sleek, and fast. 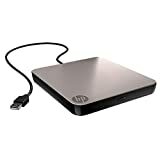 Enjoy the convenience of portable storage with up to 8X DVD and 24X CD double-layer recording capability. 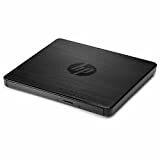 Works with Windows using a USB cable for easy data transfer and power and includes the Cyberlink Media Suite for editing and managing multimedia content.